Quorum Nicaraguan Handmade Cigars have become the #1 selling imported handmade bundle cigar in the world in just 3 years. 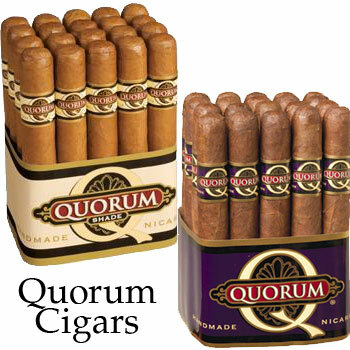 Produced by J.C. Newman Cigars, Quorum cigars are ideal for the cigar smoker who is tight on cash. Despite it being inexpensive, this medium to full bodied cigar has been described as a "good cheap daily smoke" and a "diamond in the rough." 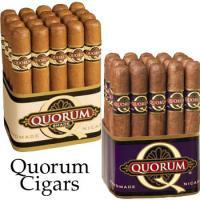 Quorum cigars offer the Quorum Classic, Little Q Tins, and the popular Quorum Shade. Find out why SmokeMag.com gave Quorum cigars an excellent rating of 92 and pick up a bundle today.